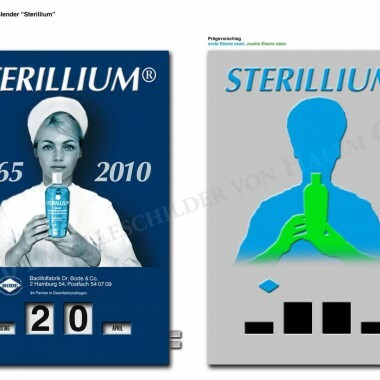 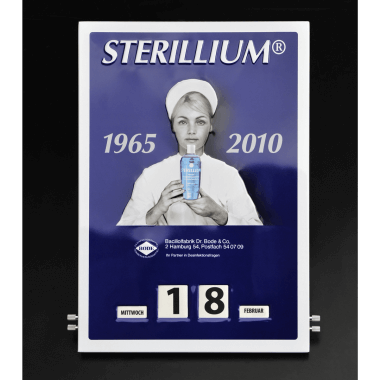 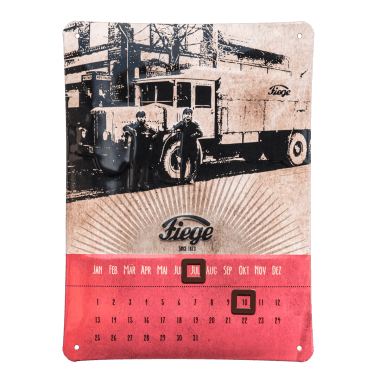 We manufacture two kinds of perpetual calendars: rotary calendars and metal signs featuring magnetic rings. 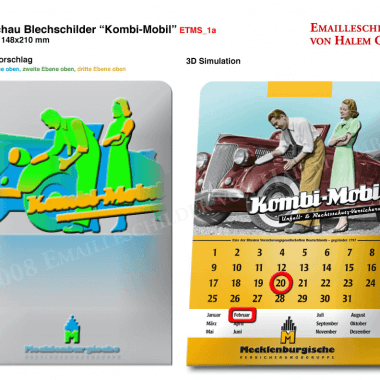 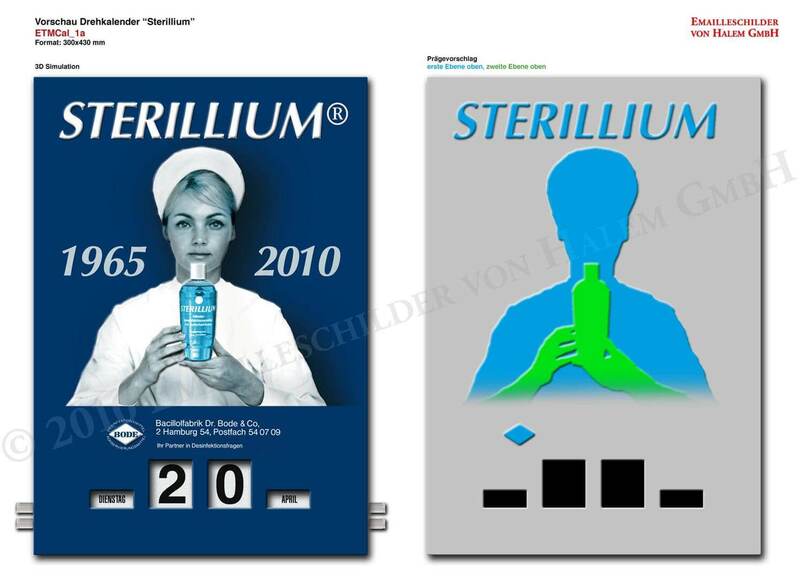 Rotary calendars made of porcelain enamel are the pinnacle of rotary calenders. 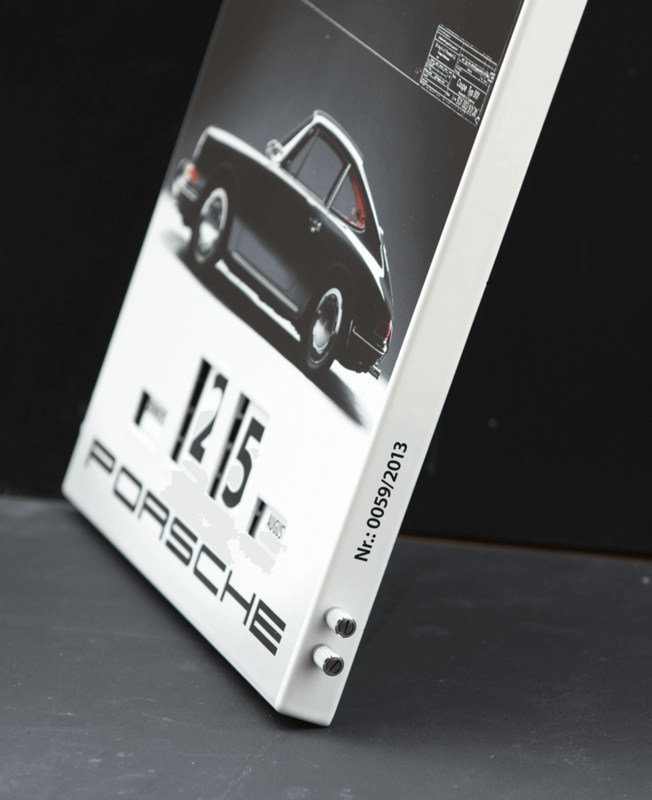 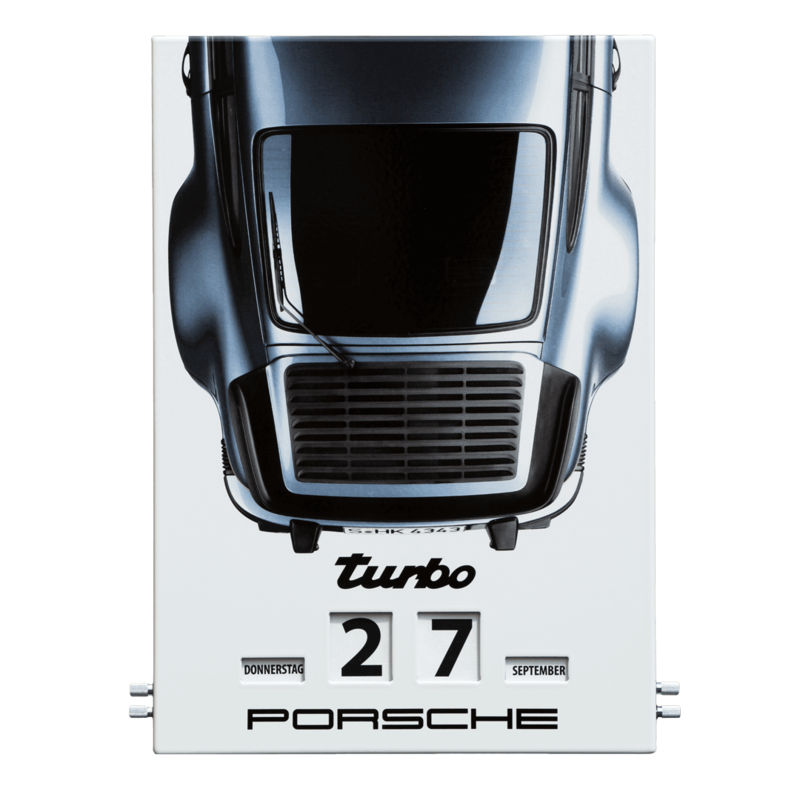 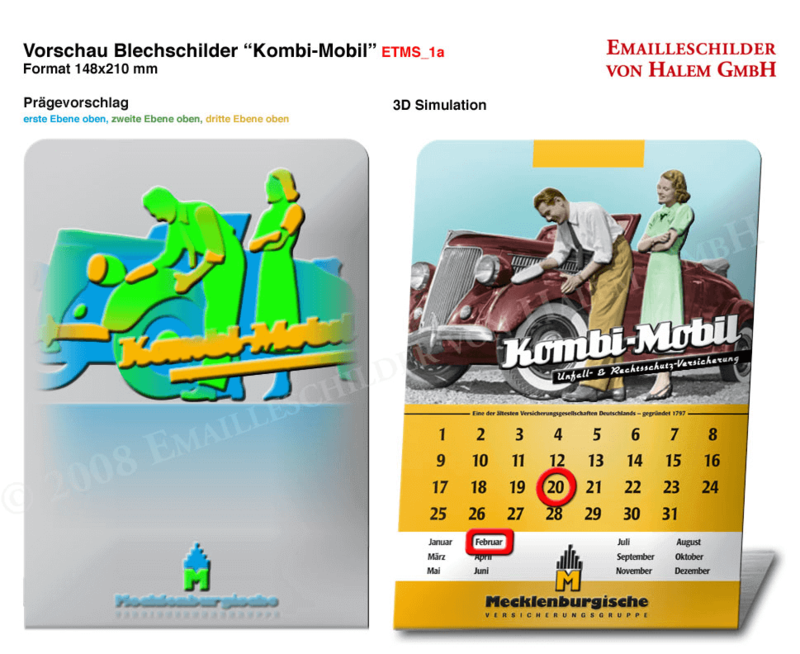 For an example of this, have a look at the Porsche calenders below. 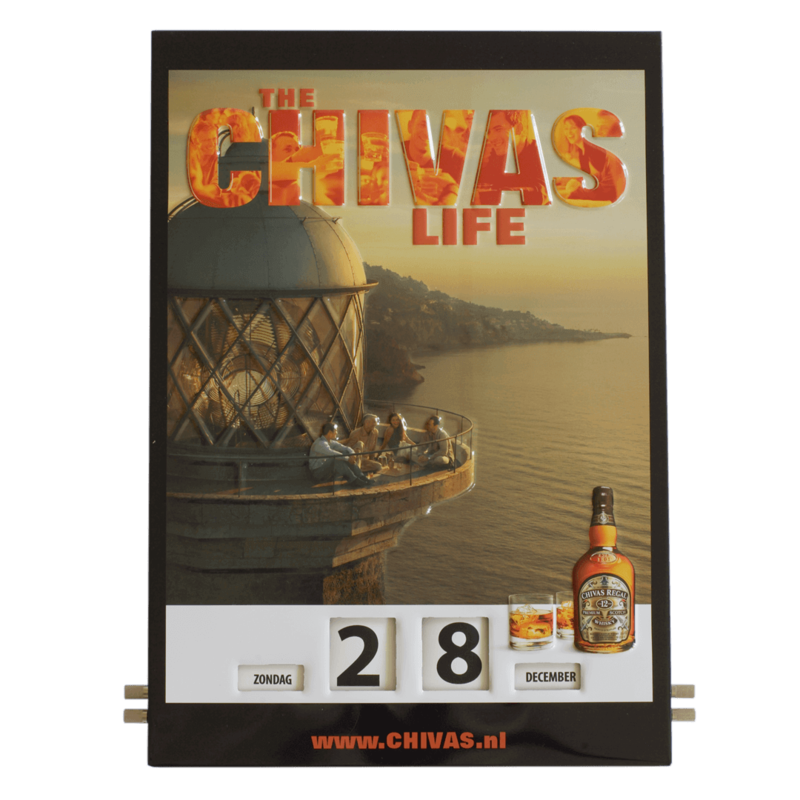 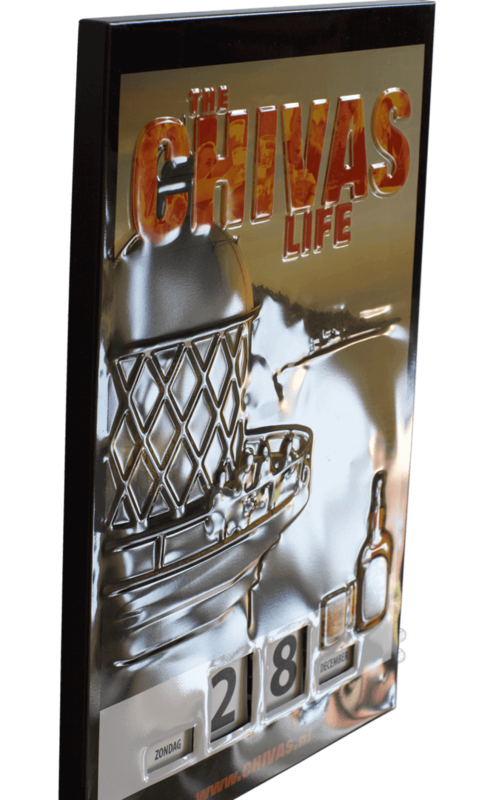 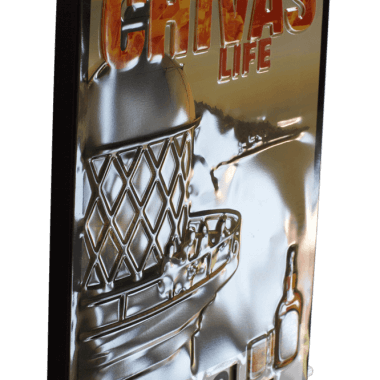 Alternatively, we also offer rotary calendars made of metal, as the Chivas image below proves well. 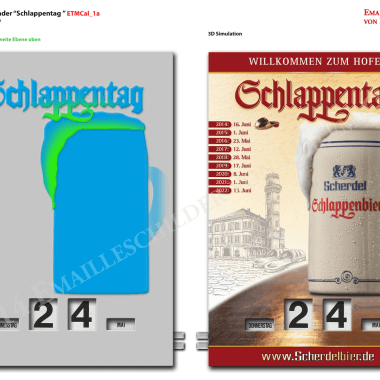 Under 1C you can choose your preferred writing for the calendarium. 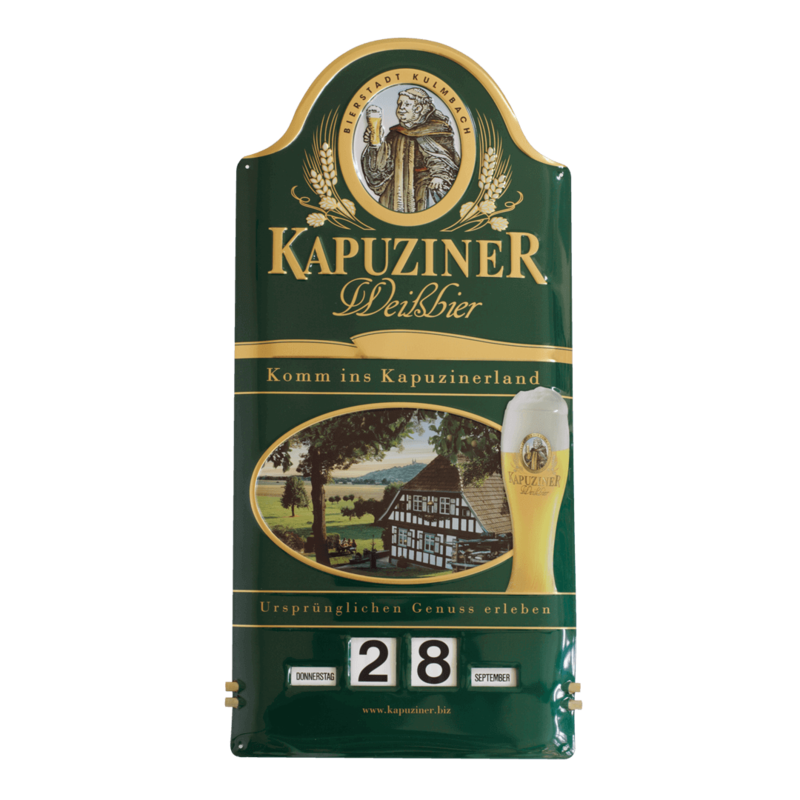 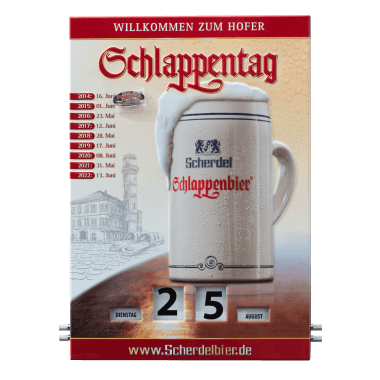 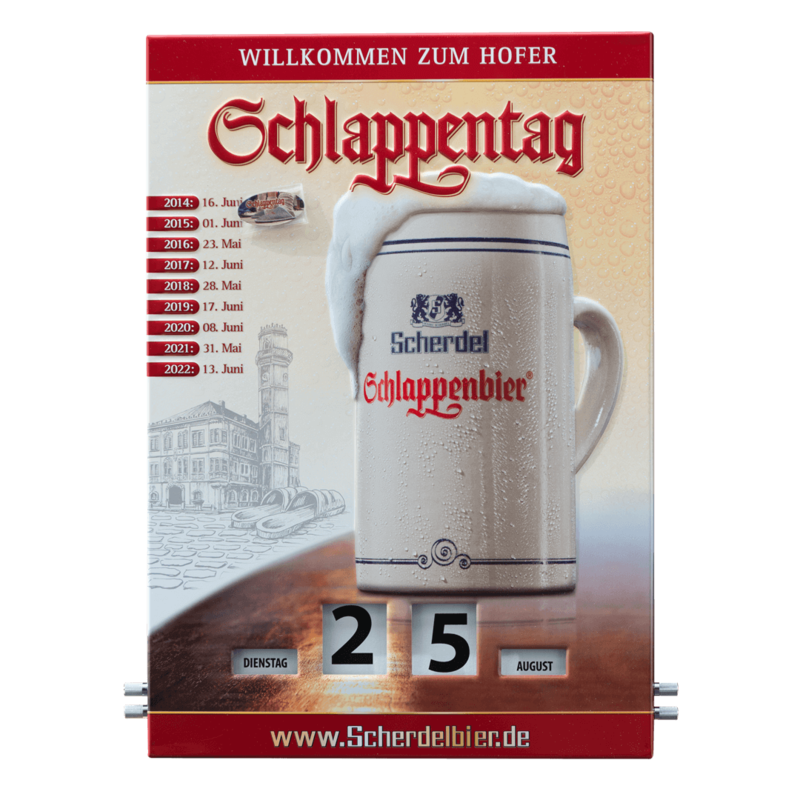 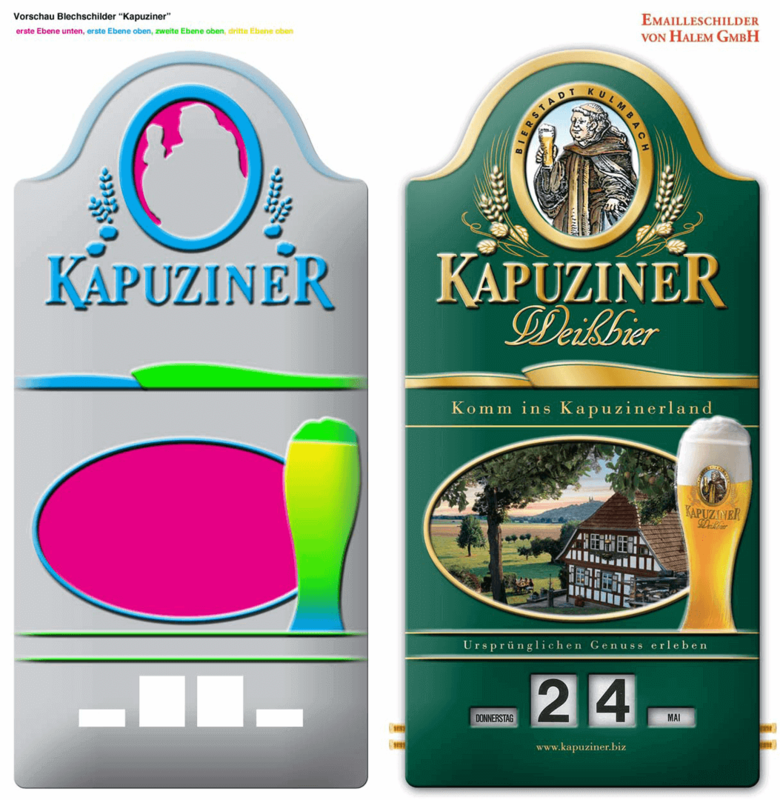 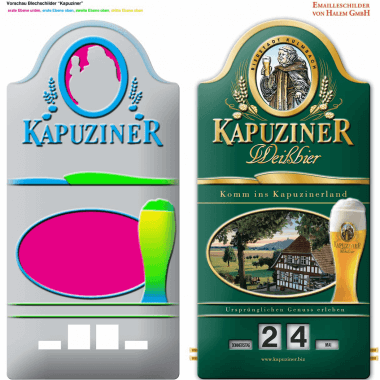 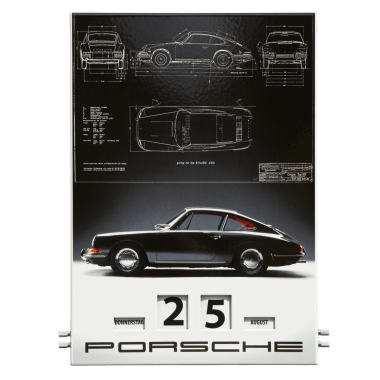 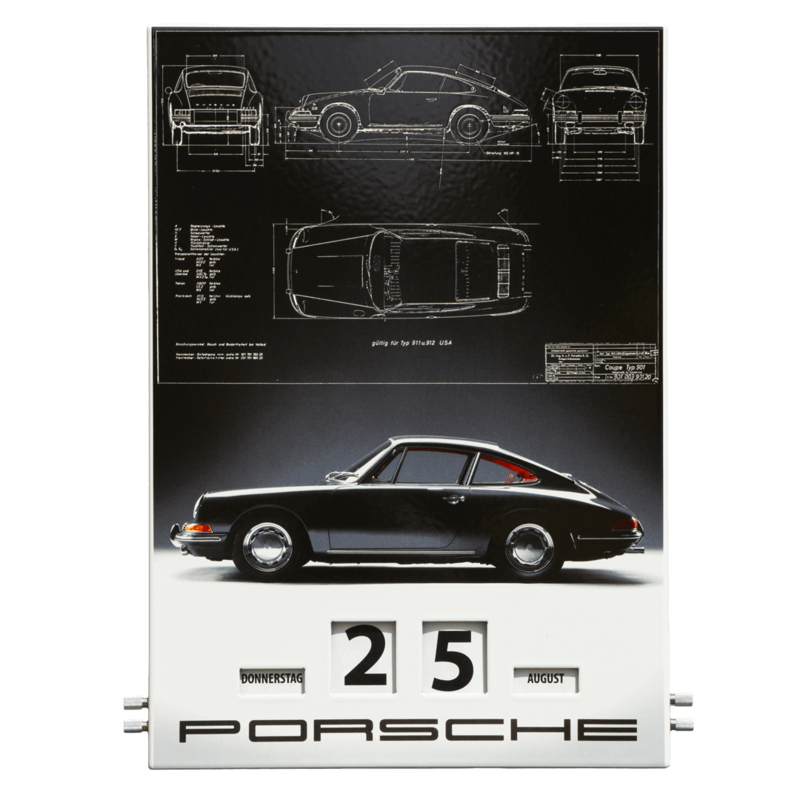 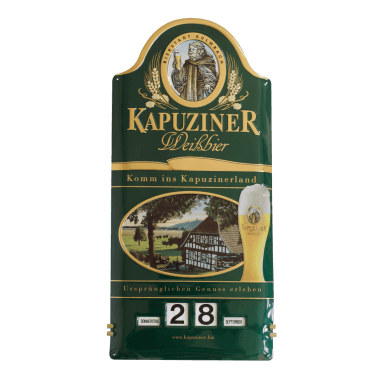 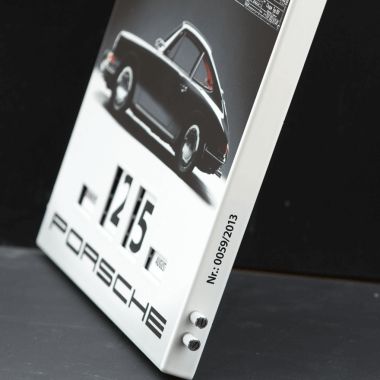 For a more cost effective alternative – for example if you are looking for a suitable promotional gift – you may like to consider our embossed metal signs. 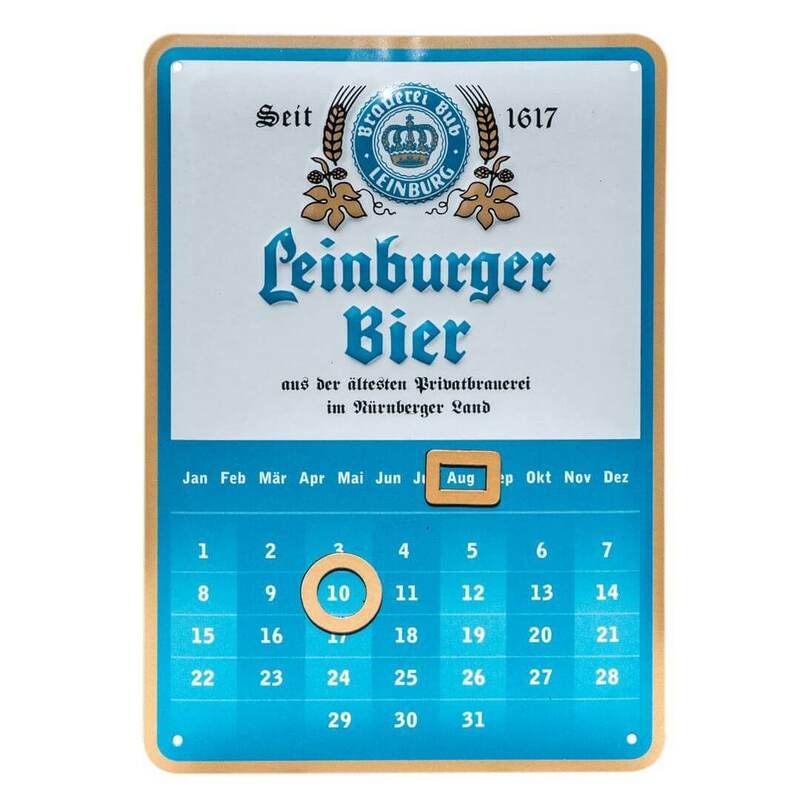 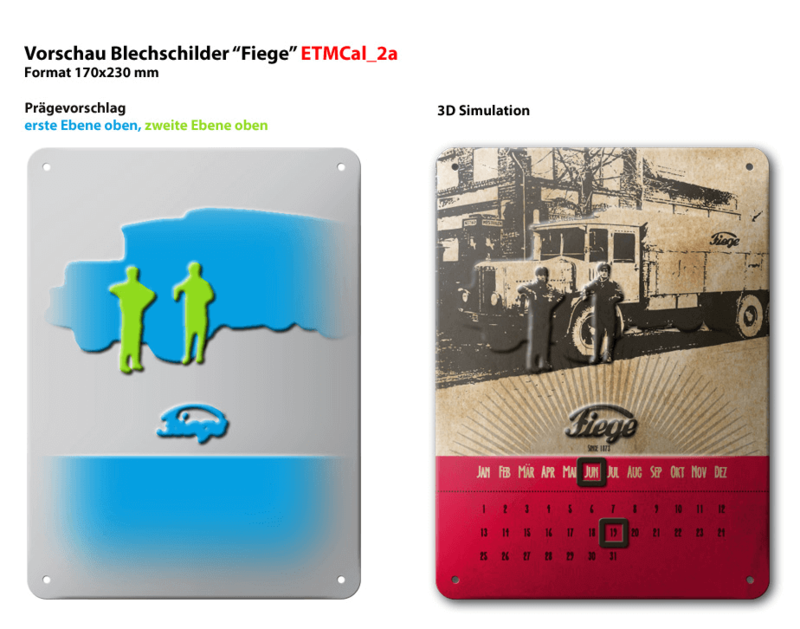 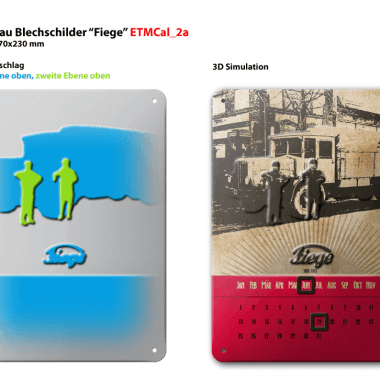 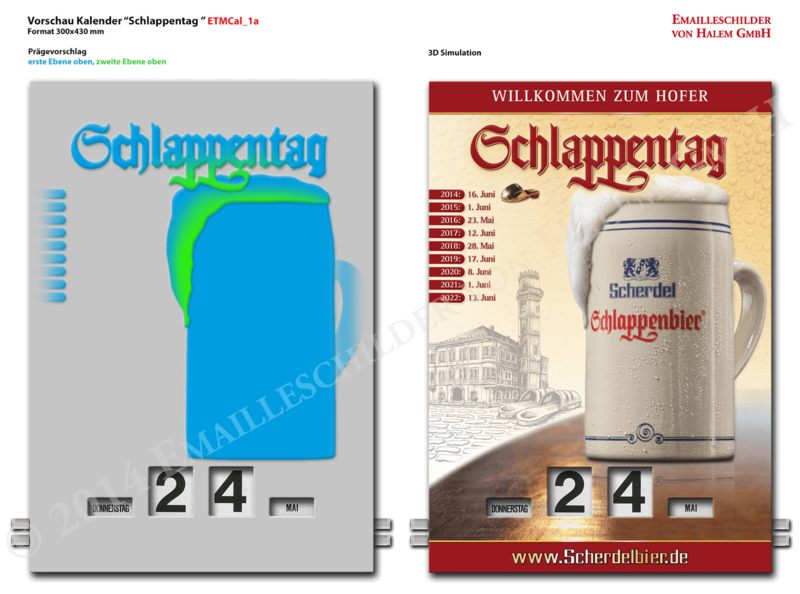 These feature a calendarium. 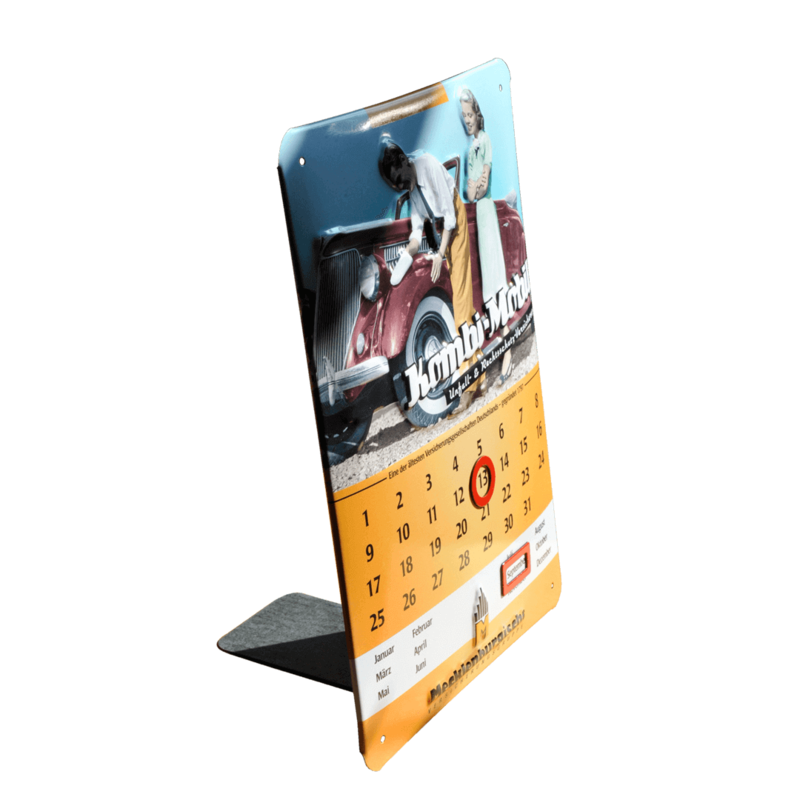 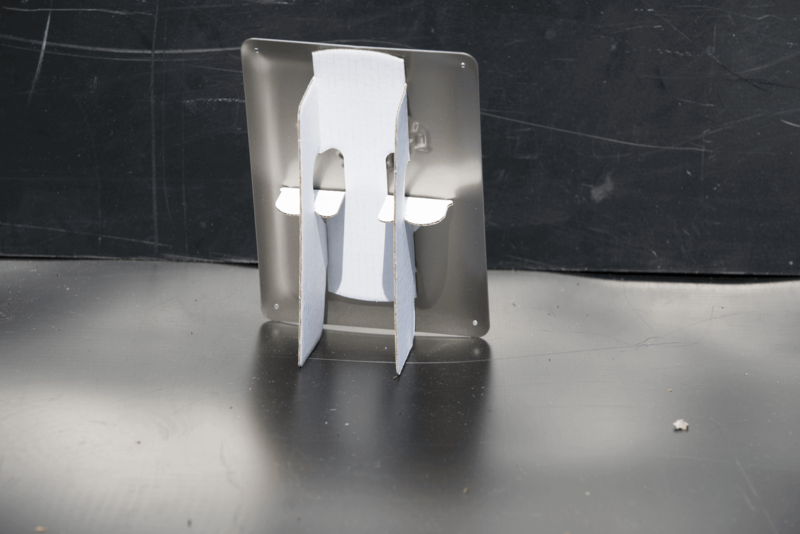 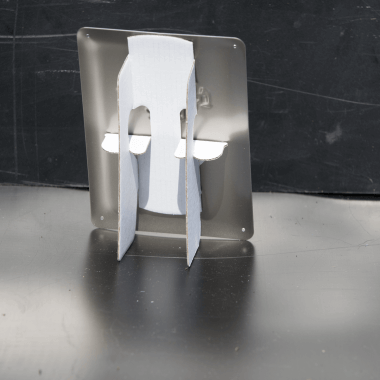 You can also choose from signs that come with their stands attached or versions that have a detachable stand.